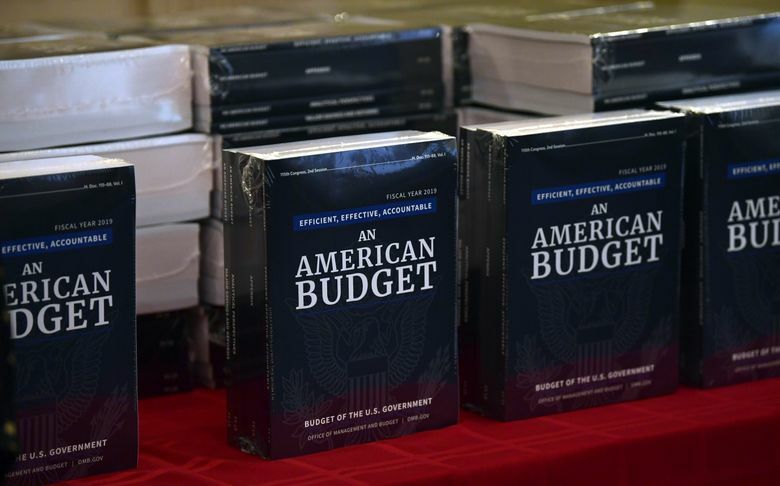 WASHINGTON (AP) — Highlights from President Donald Trump’s budget for fiscal year 2019. The Pentagon also would invest more heavily in other missile defense systems, including the ship-based Aegis system and the Army’s Patriot air and missile defense system, both of which are designed to defend against missiles of various ranges short of the intercontinental ballistic missile that is of greatest U.S. concern in the context of North Korea. The second stage of Trump’s proposed border wall in Texas’ Rio Grande Valley would be 65 miles (104 kilometers) long, costing an average of $24.6 million a mile, according to the president’s 2019 budget. That matches the amount requested in Trump’s 2018 budget to build or replace 74 miles (118 kilometers) in San Diego and Rio Grande Valley, the busiest corridor for illegal crossings. Overall, the budget calls for a $7.1 billion, a 10.5 percent decrease from 2017. On the chopping block is $5.9 million in teacher preparation and aftercare programs. Last year, proposals for similar cuts were met with harsh criticism from teachers’ unions and educators across the country. Agency staffing would be cut by more than 20 percent, from 15,400 full-time positions to 12,250. Like Trump, Pruitt has expressed doubt about the consensus of climate scientists, including those at his own agency, that man-made carbon emissions are the primary driver of increasing average temperatures observed around the globe. The nation’s top environmental official has instead advocated for the increased production and burning of fossil fuels. The Veterans Choice health care program would get a big boost under Trump’s 2019 budget. Under the increased budget caps approved by Congress last week, the Trump administration also tacked on an additional $2.4 billion for Choice and other expenses. Lawmakers’ delay in reaching agreement has meant that a larger overhaul of VA Choice isn’t likely to be fully implemented until 2019 or later. As he did last year, Trump proposes to cut funding for the State Department and USAID by nearly one-third. Yet Congress has steadfastly refused to cut so deeply. One notable shift is that Trump’s budget proposes moving all $12.3 billion in “overseas contingency operations” — funds for active war zones like Iraq, Afghanistan and Syria — into the State Department’s regular budget. In the past, it made sense to separate those funds because they were exempt from budget caps put in place by Congress. But last week’s two-year spending deal approved by Congress raised those caps. Trump’s budget calls for increasing U.S. security assistance to Israel to $3.3 billion and to Jordan to $1.275 billion. The U.S. recently signed a new 10-year memorandum of understanding with Israel on aid and is expected to sign one with Jordan when Secretary of State Rex Tillerson visits Amman later this week. Some of the most dramatic proposed cuts affect the State Department’s Bureau of Educational and Cultural Affairs, which would see its budget cut by about $126 million, a reduction of nearly half of what it received in the past. Trump’s budget also proposes to fund only 56 percent of the U.S. commitment to United Nations peacekeeping operations. The budget also includes $17.5 million to begin to implement Zinke’s plan to reorganize the department and shift some agency headquarters, including the Bureaus of Land Management and Reclamation, and the Fish and Wildlife Service, to the West. Energy Secretary Rick Perry in a statement said the budget request supports the agency’s push to enhance energy security and modernize the nuclear weapons stockpile, while boosting funding for cybersecurity and emphasizing the role of the 17 national laboratories that do cutting-edge research on everything from clean energy technologies to supercomputing to nuclear science. The budget again proposes steep cuts to energy efficiency and renewable energy programs and calls for eliminating the department’s loan program and the Advanced Research Projects Agency-Energy, its innovation arm. Members of Congress from both parties support all of the programs and are likely to restore much of the funding for them, although the loan program could face cuts. The Senate approved record funding levels for ARPA-E for the current budget year despite Trump’s plan to dismantle it.